Spring has finally arrived. 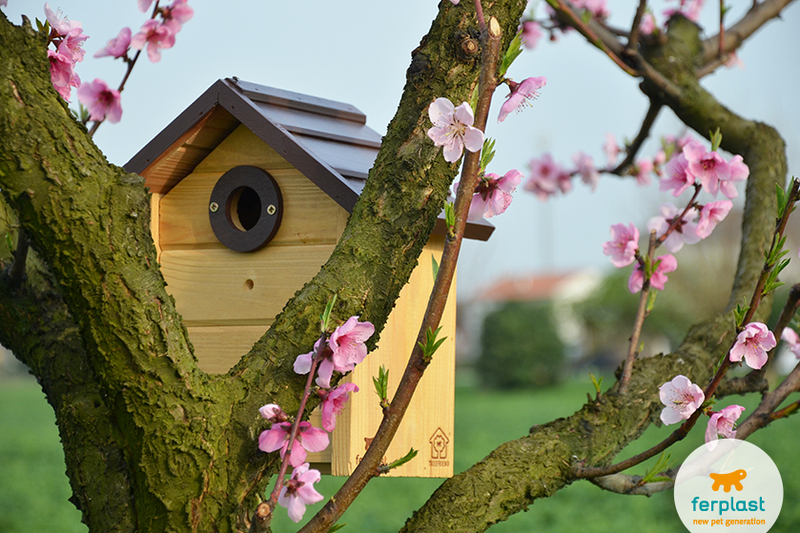 The trees are in bloom and the grass is green, the sky is blue and the air is filled with the buzzing of bees and the chirping of birds. It’s actually when you hear the birds that you know winter has come to an end and spring has come, but can you identify all the birds you see and hear? 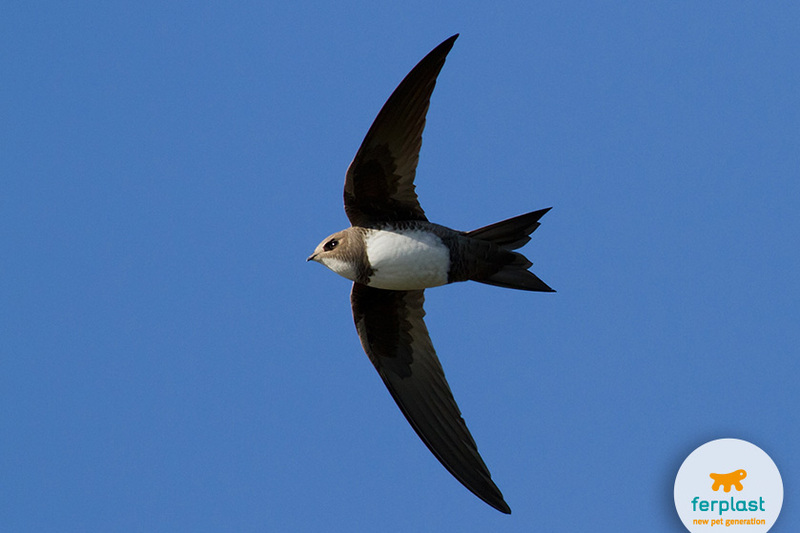 It’s true that one swallow “does not summer make,” but if in addition to these we spot storks, cuckoos and swifts then it means that summer is on our doorstep. What do these winged animals have in common? They are migratory birds that travel all year looking for warm places to nest and enough good food to nurture and raise their young. 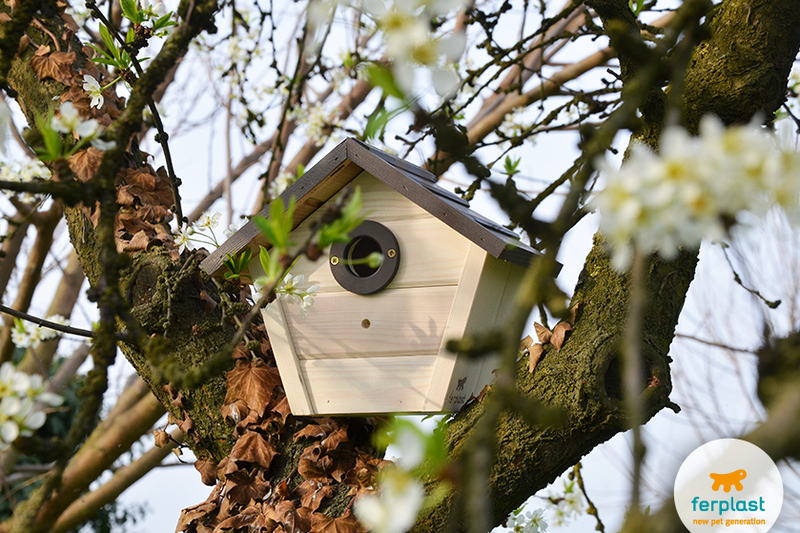 Children and adults alike love watching birds fly or fuss about getting their nests ready for eggs. Let’s take a closer look at these species. 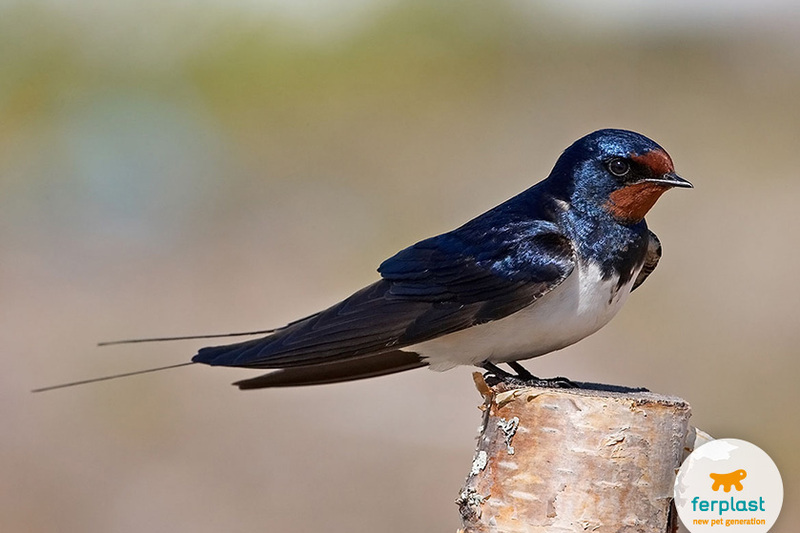 SWALLOWS are the best known of the ‘spring birds’. 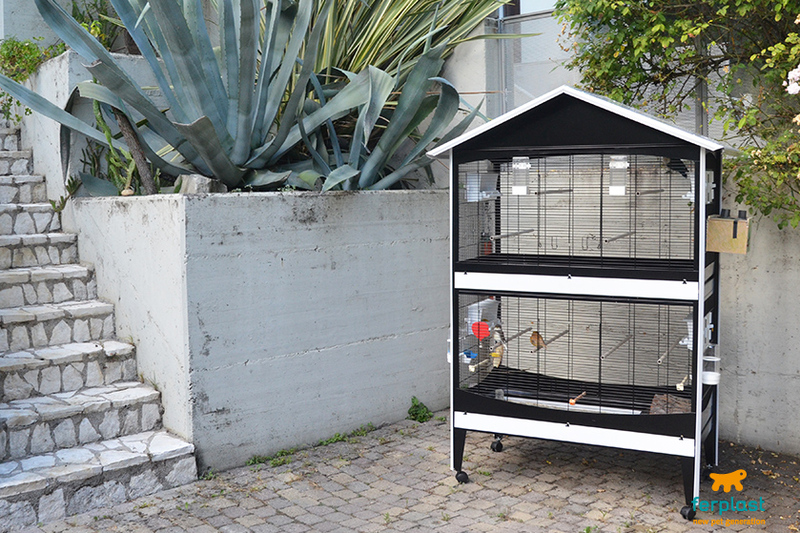 They are small, the feathers on their backs are black with a blue tint, their throat is red and tummy white, and their tails – long and bifurcated – are their most distinguishing feature. 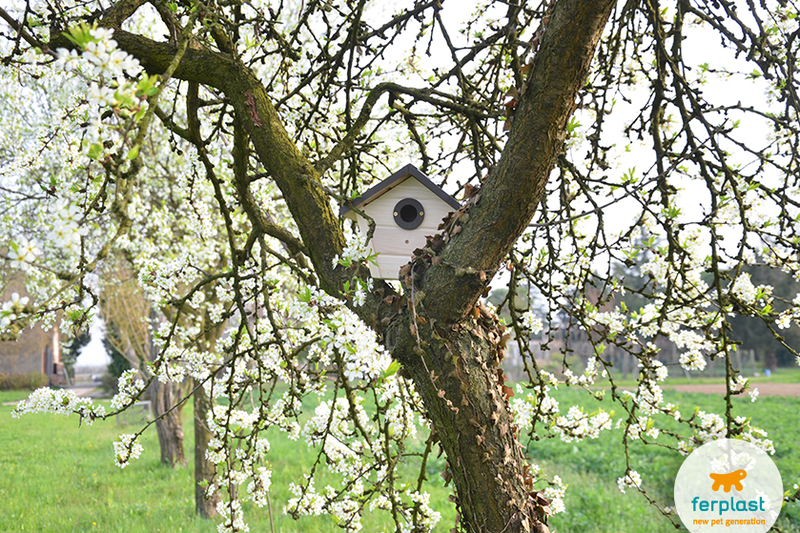 They like to nest where man lives, especially in the countryside on the rooftops of barns and houses. Their nests are made with bits of straw and mud. Their beaks are short but wide, which makes it easy for them to net insects as they fly. MALE SWALLOWS are not unlike the female of the species, but they are dark brown and have wings shaped like half moons that do not bend during flight. 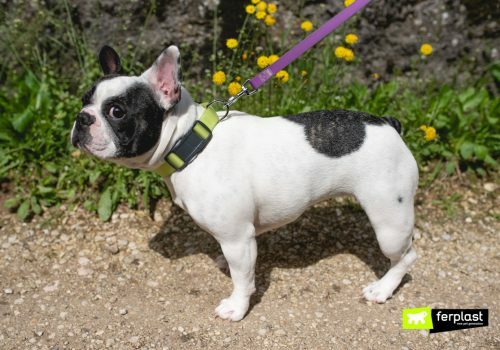 They also have bifurcated tails, only shorter. These birds love the city and spend most of their time in flight, so much so that they even sleep flying! They live long lives, some becoming all of 21 year old! The WHITE STORK, as its name would indicate, has white plumage. Its neck and legs are very long, and its beak is red and pointy. It is a creature of habit and builds its nest in the same place every year, usually on a roof, a tower or lattice. 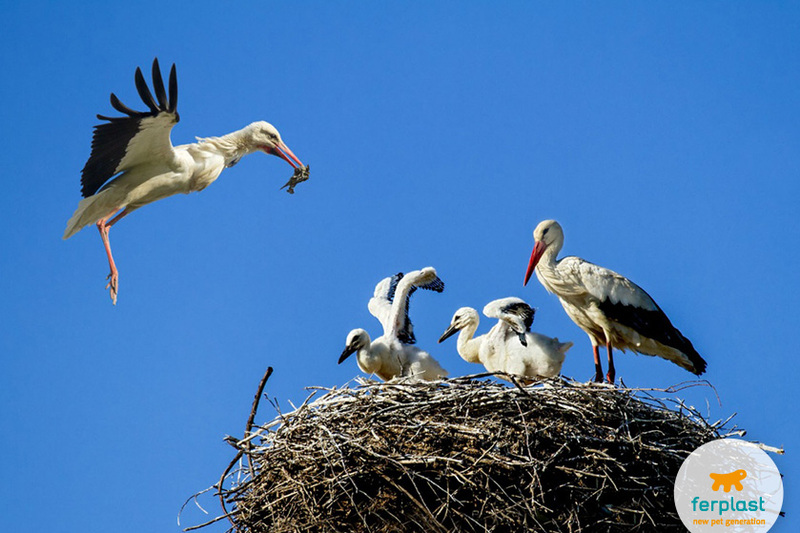 Storks emit no sounds, they communicate with one another by rapidly beating their wings. You often find them in ponds, lagoons and marshes, all places where it is easy for them to find food, but they also like watered gardens and freshly irrigated fields. 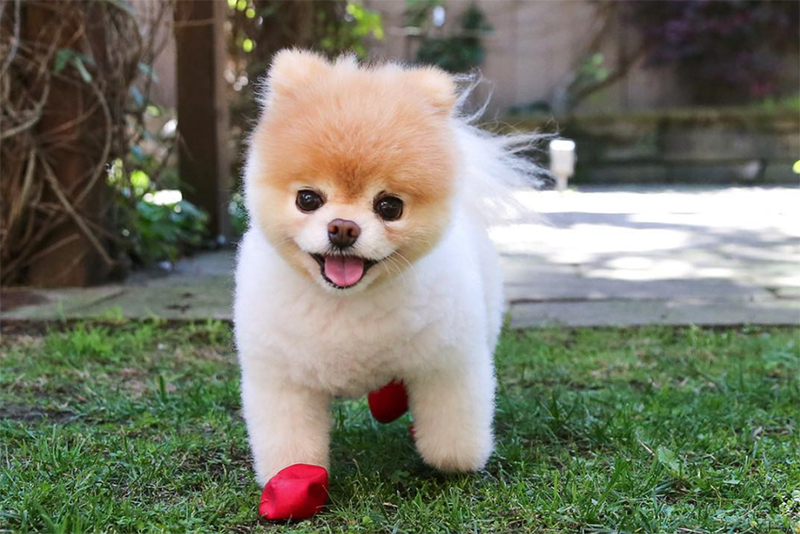 Did you know that they are very faithful and often stay with the same partner for their entire lives? 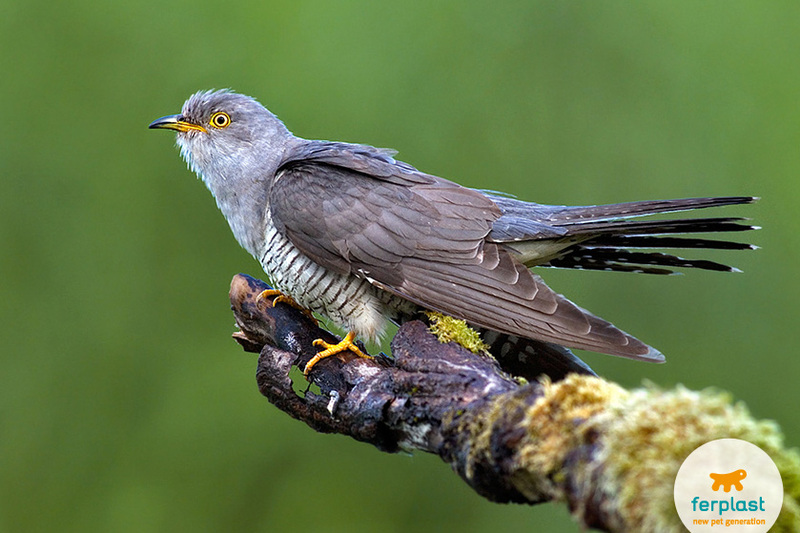 CUCKOOS have ash grey backs and white tummies with black streaks. You can easily recognize them by the characteristic “coo coo” sounds they emit. This little bird is actually a parasite bird as it uses the nests of other species to lay their eggs, and when the baby cuckoos are born, the mother actually nudge out the eggs, and even the chicks, belonging to the real owners of the nest. 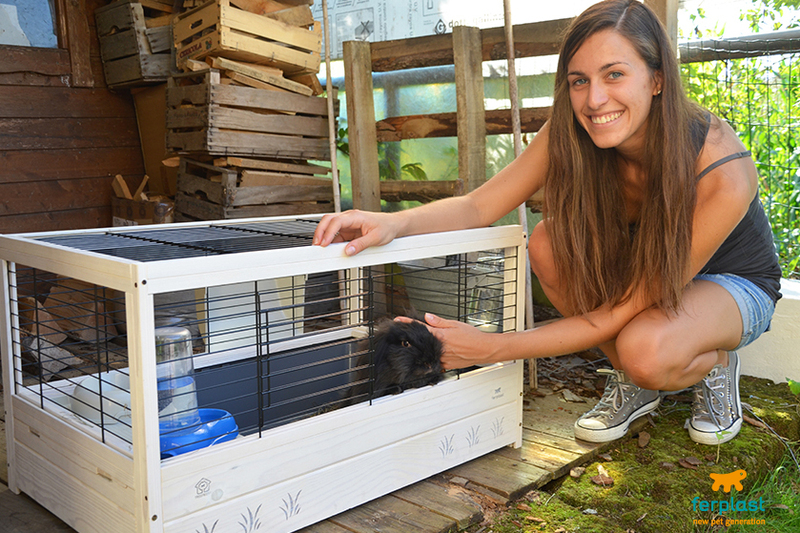 Not only, but for two or more weeks, these real owners actually become adoptive parents and feed the little cuckoos as if they were their own. Then, as soon as they are old enough, the cuckoos leave their borrowed nest. You can find cuckoos in the woods, especially bright woods with a nice thick underbrush, draped over hills and on the flatland, but they do not disdain gardens with plenty of trees. 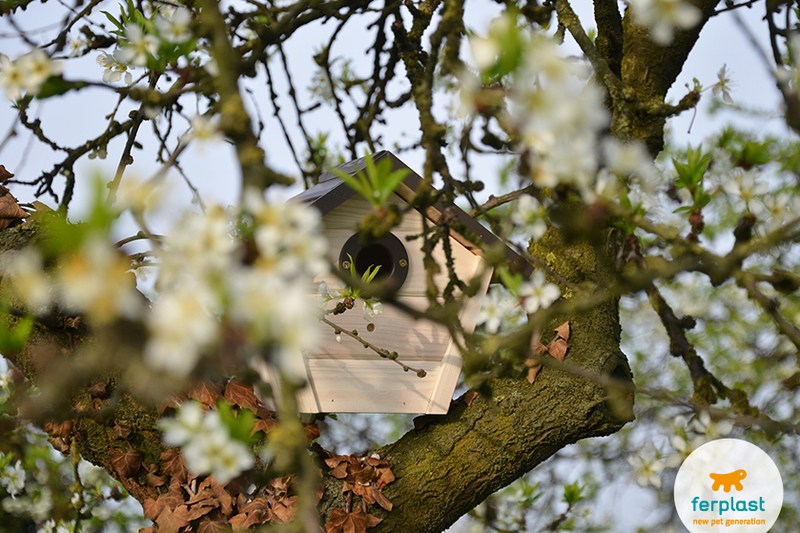 If you want to increase the your chances of having wild birds in your garden you can put artificial nests in your trees. To attract small and medium birds (so no storks! 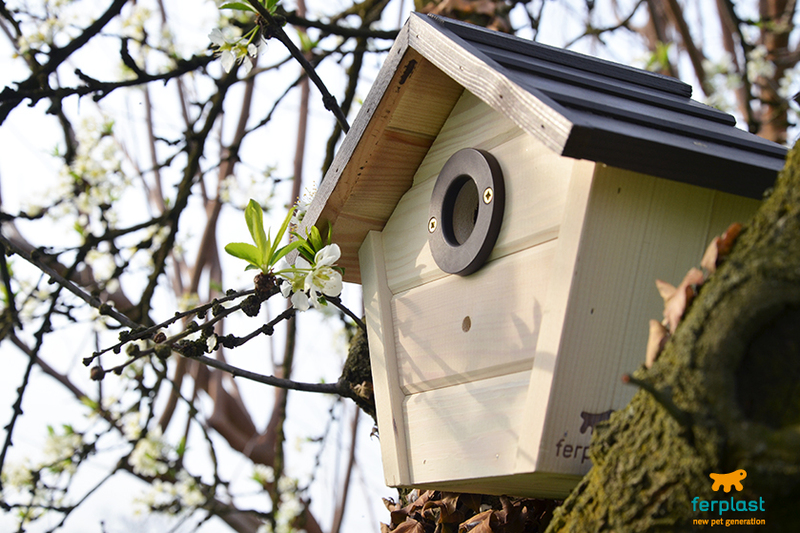 ), Ferplast makes Nest, a line of bird boxes of various shapes and sizes made of quality wood from ecologically-responsible stewarded forests. 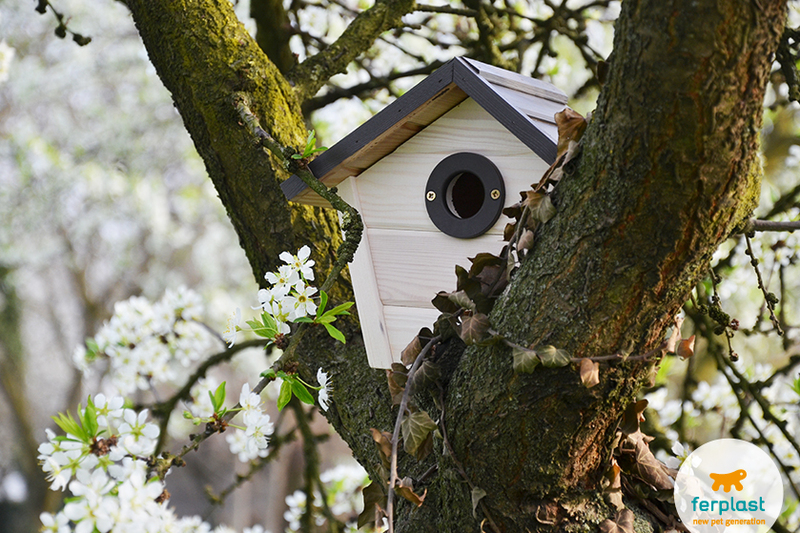 They not only serve as a home for the small birds, but they even have a special place for them to make a nest and have their young in complete safety. 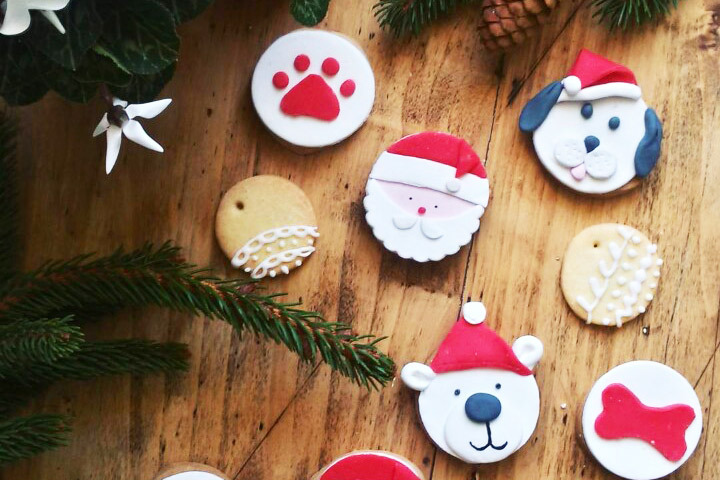 They are also nice to look at and give your garden a cheerful flair. La Primavera è una stagione incredibile per tanti motivi, sicuramente l’arrivo di molte specie di uccelli è uno di questi!